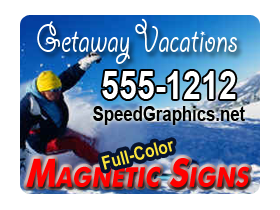 These are premium grade 30mil magnetic signs produced using full-color high resolution printing at 720dpi. The inks offer excellent outdoor durability and exceptional color. We also round the corners free of charge further enhancing durability and aesthetics. 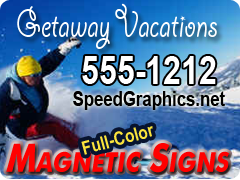 Included are care and handling instructions with important tips so you get the most from your signs. For larger quantities, please complete our quote form. Singles are the same price as Pairs. Sold as Pairs only. 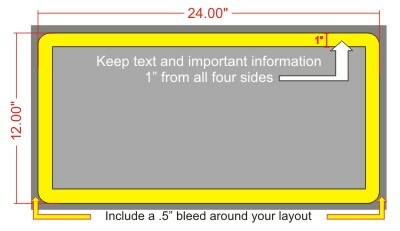 Use the diagram below to assist with your design layout.